Lemon City Live strives to promote the fandom, passion, and voice of the fan. We happily extend our platform to anyone looking to express themselves and greatly appreciate the following contribution. Miami, FL – I moved back to Miami at 18 years old. I had spent the last 8 years of my life in another country and even though I was born in the Magic City, I felt like a stranger. My brothers, who had stayed here while I lived abroad, convinced me to go watch a Miami Heat game at the AAA. From the moment I first heard the crowd chant, “Let’s go Heat!” to the “Two Minutes…Dos Minutos” I realized I was surrounded by an energy I had never experienced before. And then, of course, there was Dwyane Wade. Between the buzzer beaters, the “This Is My House!”, and the acrobatic shots, falling over into the baseline, what was not to love?! Wade is the embodiment of that energy that stays in you long after you leave the AAA. It was January 26, 2009. We won that game. He scored 35 points that night. A month later I went to another game, and that April I went to my first Playoff game (I still have my Back in Black t-shirt). My first Miami Heat game. As I grew to love the Heat, I grew to love Wade even more. Unlike other NBA stars, Wade has always had a humble demeanor to him. That demeanor made him seem like he was our Childhood friend. We saw him raise three boys and now a baby girl. He fell in love (we fell in love with Gabrielle Union too). We saw him get injured, and we fiercely cheered each time he came back strong. His friends became our friends, because if you’re cool with DWade, you’re cool with us too. Lebron was, in my eyes, the antihero, but when Flash brought him home, we did what any good friend would do and welcomed him, let him in on the inside jokes, and made memories with him too. Me at the 2013 Miami Heat championship parade. With the age of the Big Three came something new to Miami and to myself. My Humble Heat had now become a powerhouse, the NBA Villains, the Heatles. 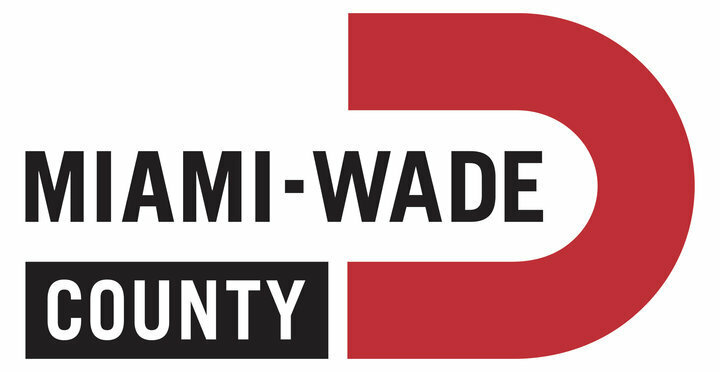 We all embraced it, Miami and Wade, and when he brought those back-to-back championships home to us, despite people giving Lebron the credit, I thanked Wade. Each championship felt like a gift to this city, a testament to our friendship, and a thank you for the years of mutual love and support. We were on top of the world. But then Lebron left, Bosh’s health sidelined him, and then Wade hit us with his departure. This news was a blow to the chest. It felt like when your best friend moves to another school. You still see him around, you keep in contact, but it’s not the same. You wonder if he likes his new school more, if he’ll make new friends, or leave you behind with all the great times you both had. I couldn’t be mad at him. I don’t even think I tried. There was so much gratitude and love from the time we spent at 601 Biscayne. The good games and the bad as well. I wished him all the best. But Wade and Miami were never really apart. Distance makes the heart grow fonder and all that time apart made Wade’s return to the MIA all the more joyful. The grin on Gabrielle’s face when she said, “We’re going home” was that longed-for confirmation that your love is indeed mutual. While he was back home, the dynamic between Wade and the Heat would soon change, as he asked us to join him for “One Last Dance”. Watching Wade’s last home game, putting myself back in that Arena, and feeling all of the sense of community this organization has grown into has been overwhelming. I don’t know what will happen now. We watched his One Last Dance with tears in our eyes, but with our hearts full from these last 16 years. And so we end this era, and look to the next, by Thanking our Friend, Dwyane Wade.